Nicole is a passionate working mum to 3 gorgeous children and she fully understands the meaning of juggling her professional and family roles in todays fast paced environment. Her passion is people and she enjoys interacting with those from all walks of life and businesses. I consider myself to be a human relater who not only communicates extremely well but also listens and this has enabled me to establish and maintain effective working, coaching and mentoring relationships with my teams, peers and key internal/external stakeholders. 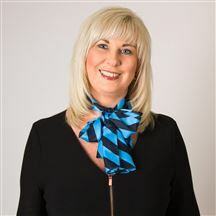 She has spent many years in Business Sales Management roles within Travel, Women's Clothing and Telecommunications Industries, and as a result of her exposure to these diverse industry types she has developed a comprehensive understanding of the key components of best business practice, ensuring that clients are receiving the very best service, and enabling the business to run smoothly, whilst monitoring her team and implementing new systems. In recent years Nicole increased her knowledge of Corporate Governance by sitting on Boards and being a member of productive Community and Council Committees. 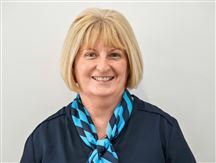 Her business acumen was recognised by the local business community when she was elected as the "first female" President of the Shoalhaven Business Chamber. Nicole has proven herself to be an extremely knowledgeable, driven and successful leader, who now looks forward to the challenges before her as Principal/Business Operations Manager of Harcourts Avoca Beach & Copacabana. Nicole and her partner Stewart were able to realise their dream in June 2017 by opening together the very first Harcourts Franchise for the Central Coast, NSW. Nicole is also the Branch Director of Business In Heels Lower Central Coast and the opportunity this affords her is to enhance the platform from which all women in business can network, collaborate, develop and prosper in their chosen professions whilst in a positive environment. Stewart Power is an accomplished Sales Consultant and Licensed Real Estate Agent with eighteen years’ experience successfully marketing and selling residential property in beachside localities on the Central Coast - Terrigal, Avoca Beach, Copacabana and Macmasters Beach (15 years) and Northern suburbs of Sydney – Epping, Eastwood and Ryde (3 years). He was born in Epping and grew up on Sydney’s North Shore and New South Wales’ North Coast towns of Maclean (Yamba) and Goonellabah (Ballina/Byron Bay) where his love of the beach was ingrained. 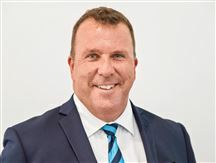 Prior to real estate Stewart completed 12 years with the New South Wales Police Service over which time interpersonal skills of communication and negotiation evolved to a high level by virtue of “on the job” Policing experiences and tertiary studies in Police Management. Additional studies in Real Estate Management and Marketing have equipped Stewart with the essential attributes to calmly, confidently and effectively navigate his clients through all aspects of the sale process of real estate whilst complying with relevant legislation. 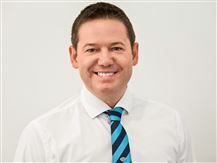 Whilst having sold near 500 properties in his real estate career to date some of Stewart’s more notable achievements include the sale of beach front homes at Avoca Beach, Copacabana, Wamberal, Forrester’s Beach and Noraville as high as $4.3m and in May 2017 created an ‘off beach front” record when he sold 60C Cape Three Points Road Avoca Beach for a second time for $3.52m. Stewart’s passion for people and real estate has culminated in him now establishing his own Real Estate Agency Harcourts Avoca Beach & Copacabana with his partner (fiancée) Nicole Jackson. Both Stewart and Nicole are totally committed to providing the utmost level of service to their clients, a quality for which they are consistently commended in addition to their honest, friendly and professional approach. If it’s time to buy, sell or lease your investment property Stewart and Nicole’s comprehensive knowledge of the market, wealth of experience and endless determination to go that extra mile is sure to achieve an outstanding result on your behalf. Resort Living, Walk to Beach! "Sold in just 2 weeks"